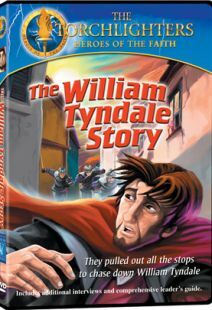 A simple God-seeking man, William Tyndale somehow became one of the most wanted men in England and all of Europe. Pursued by King Henry VIII, Lord Chancellor Sir Thomas More, and the Pope's personal legate Cardinal Wolsey, Tyndale darted across Europe to avoid capture -- always pushing to complete the task that obsessed him. The task was translating the Bible into English and publishing it for his fellow countrymen -- Englishmen who lived in a country where the Bible and even prayers in English were outlawed by a harsh and rigid religious establishment. 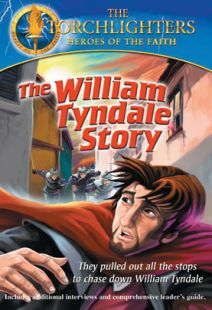 Today William Tyndale is renowned as "the father of the English Bible," and is recognized as one of the major leaders of the English Reformation. But the tale of how he lived and died as "God's Outlaw" is a compelling "rest-of-the-story," and is especially a moving encouragement for modern people of faith. Starring Roger Rees, Willoughby Goddard, Keith Barron, Oona Kirsch, Bernard Archard and more. God's Outlaw is an enthralling true history of one man who eluded the forces of King Henry VIII who ordered his capture while translating the Bible into English. As the escapee, William Tyndale had just the goal of publication of his English translations of the Bible, his home county forbade translations to English of even prayers. Highly recommended to Christians of all practices and to any seeking an understanding of the whole story behind "the father of the English Bible," William Tyndale. Many dissatisfied people in the 15th and 16th century worked slowly for church reform. Others, such as William Tyndale and John Hus, eagerly promoted salvation as totally through faith in Jesus Christ. Tyndale and Hus translated the Holdy Scriptures, and wanted each person to read the Bible in their own language. 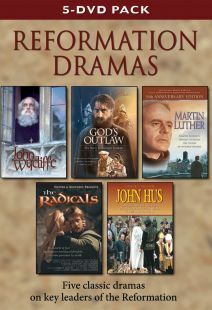 Vision Video offers two films about these times: John Hus: A Powerful, True Story, and God's Outlaw: The Story of William Tyndale. Hus quoted Romans 4 and 5, as he preached in a Bohemian chapel. He spoke of peace with God through Jesus Christ. John Hus asked, "Where does it say in Scriptures that a man can buy his way into Heaven?" The established church intensely disliked Hus. He was burned at the stake on July 6, 1415. William Tyndale also worked against the established church, the tradition of keeping all Scripture in Latin. Tyndale wrangled with colorful Henry VIII, fled the Europe, and was eventually betrayed. Both DVD's offer touching scenes. Hus languished in a filthy prison, and remembers his mother's teachings. Another encouraging scene involved workmen preparing the stake and the wood to burn John Hus. One worker marveled, "He believes it's not necessary to pay for a blessing. He thinks faith is enough to be forgiven." That conversation should encourage all Christians. Hus never met the workmen, yet he influenced them greatly. While in prison, Tyndale requested his friends to bring a warm hood, and cloth to patch his leggings. He especially wanted a Hebrew grammar. Such was the man's devotion to translating the Scripture. He paid for his views at a fiery stake. Excellent study materials are included in pdf format. I especially like the articles linked to Christian History magazine. Both films have received significant awards, including recognition from the Christian Film Distributors Association. This feature-length production, filmed in England, highlights the life of William Tyndale as he worked to translate the Bible into English. The story of how he lived and died seeks to emphasize the importance of living according to one's convictions. An ardent supporter of church reform, Tyndale traveled across Europe eluding capture wile he worked on the translation. in the end, he was betrayed by a friend and tried for heresy. Some of the historical events and conversations presented here are simplified to make a point, rendering some of them only marginally historically accurate. This lengthy production can be utilized with young adults who have a fair grasp of history and where classes have an opportunity to discuss the more complicated aspects of 16th-century English history, politics, and religion. You can thank the 16th century rebel William Tyndale -- the "father of the English Bible" -- for not having to read scripture in Latin, the preferred language of Tudor England’s Catholic Church, which kept rigid control over the dissemination of God's word (the Latin Bible assured church leaders that the rabble who formed their congregations would never sully the Word of God with their sweat-stained fingers). William Tyndale changed all of that with his desire to make the Bible available to all, eventually becoming the most hunted man in England (Tyndale would complete his English translation of the New Testament in 1525 in Germany; a decade later he would be executed). Roger Rees (The Emperor's Club, The Life and Adventures of Nicholas Nickleby) vividly brings Tyndale to life in this feature-length historical drama that draws on the spectacularly beautiful English countryside to tell its story. DVD extras include an abridged version with commentary by religious scholar Ken Curtis, and a DVD-ROM-accessible article and study guide/worksheets in PDF format. Recommended. 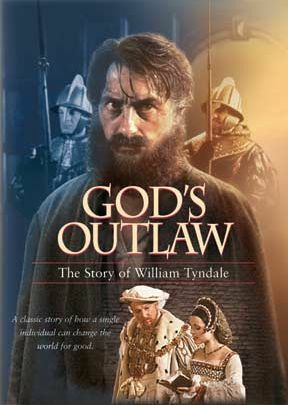 While God's Outlaw might seem at first like a fictitious adventure story, this award-winning drama is the true story of William Tyndale. Tyndale was a brilliant 16th-century linguist capable of speaking seven languages. His passion was to translate the Bible into English so that even a plowman could have the word of God available to him. At that time, the Bible and even prayer were denied to the English people in their own language. Because of Tyndale's work, he was declared a heretic and an outlaw, and was pursued by Henry VIII, Sir Thomas More and Cardinal Wolsey. For ten years he eluded capture until his betrayal by a trusted friend landed him in prison. At his trail he sounded very much like Martin Luther in his refusal to recant his works. He was declared a heretic and, eventually, burned at the stake. In an ironic twist two years later, Henry VIII ordered copies of Tyndale's Bible be placed in every church. Today, Tyndale is recognized as the father of the English Bible. Excellent account of the life of one of our Fathers of the Faith. Watching this movie would stir most anyone to appreciate the price paid by those who came before us and the luxury of having our own copy of the scriptures. All the Tyndale movies from the catalog tell you what you do not already know. The acting is sincere and top quality. I think about what I learned from the Tyndale movies all the time. Received this DVD with my order of a Geneva Bible. I was skeptical of any modern depiction and dramatization of one who walked the 'old paths' and took such a stand against Roman Catholicism. How pleasantly surprised I was. . . . even rejoicing that brother Tyndale was accurately quoted in his boldness for the truth. This film as far as films go is profitable to make us know something of what it took for us to have God's Word in English. Everyone needs to watch this movie to appreciate that we have God's word available to us in our language.